Chance by Chanel for women lets you put your best foot forward. This perfume for women has a delicate, soft, sweet, and scintillating aroma.The Chance by Chanel for Women Eau de Parfum is your daily dose of freshness. Chanel is a brand that inspires every woman to embrace her individuality and be confident in her own skin. Spray it on your skin, and you’ll be surprised by the luxurious aromas that will leave you feeling fresh and delicate. This aromatic indulgence is filled inside a stylish, 100ml glass flask topped with a sturdy cap. 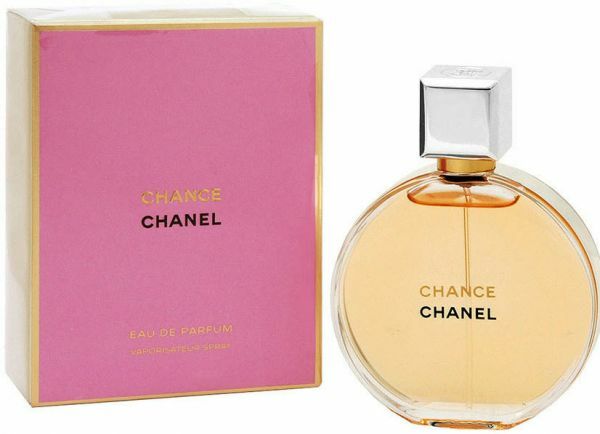 At the start of this amazing Chance by Chanel perfume, there are notes of pink pepper and lemon. Pink pepper leaves behind a soft and rosy fragrance that will invigorate your senses as it is a mildly sweet scent. On the other hand, the lemon brightens up the overall tone of the fragrance. At the core of this Chanel perfume for women, there lies a mixture of floral ingredients that include hyacinth, jasmine, and iris. These floral accords make you feel like you are walking in a botanical garden and will ensure that you radiate a warm scent throughout the day. This Eau de Parfum for women has a clean, elegant base notes. It consists of amber, which provides a sweet woody hue and is admired for its charm and grace. Patchouli has an earthy, rich green, and woodsy base. Vetiver adds a musty, dry, woody scent with bitter chocolate and smoke facets that add to the mystery and sensuousness. The final inclusion in this combination is popular white musk, which provides a comfortable, delicate, and velvety touch to your personality. I tried several perfumes from cheap to expensive, but couldn't find anything special until I got a sample of this perfume as a gift. It is a lovely smell and lasts long. It is not too floral or woody. You will smell like a celebrity with this one! Worth the price. Long lasting as in the whole day. Great smell (sophisticated).